Family owned & operated since 1988. We prepare all our meats, sauces, and dough using our own recipes with only the finest ingredients. 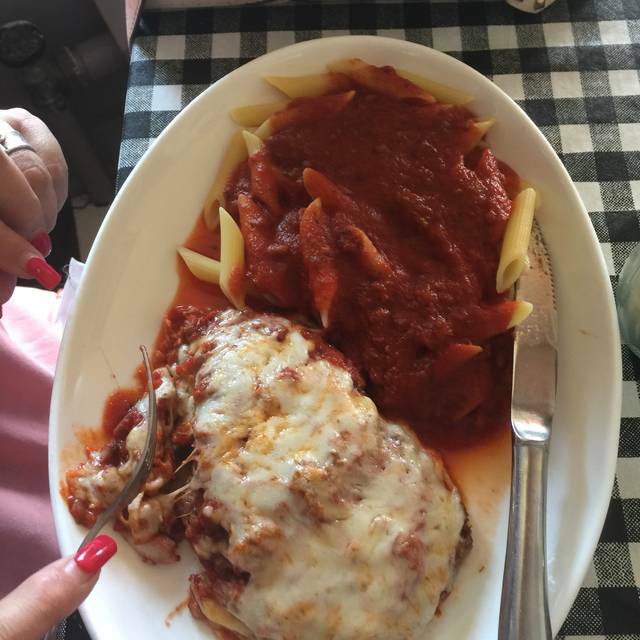 A very quaint neighborhood Italian restaurant with good food, friendly people and a folksy dining experience. We love this place! The staff is so friendly. The hostess remembered us and greeted us like old friends. That makes all the difference. Love this place. I would have given 5 stars but our waitress failed to give me and my friend our soup. Instead of eating the soup with the meal we asked to take it home. It wasn’t until I was almost home that I realized that I didn’t have my soup. This is the second time this happened. This is our regular spot. Recommend the pizza! This is a great neighborhood gem. The only thing better than the food was the courteous, attentive and friendly staff. Definitely recommend this place highly. Very disappointing. How did it ever achieve number 1 rating in western suburb dining?. Have eaten at several west suburban restaurants far better then this. Children at every table, food was served warm, not hot. Wine was acceptable. Will not be returning, will not recommend to others. Love Love Love! Great food Great Service. The food was very good; if you get calamari (which is excellent) maybe ask for extra sauce. We don't overdo it but we ran out before finishing the appetizer. Lasagna and tiramisu were excellent. Shrimp with pasta and broccoli was very good. Restaurant was full but noise level was still moderate. Great "family owned vibe." We went on a Friday night and our server was definitely hustling - it was challenging for her because we all ordered salads and the restaurant ran out of lettuce . . . but she brought us soup. Overall, I will return. Food was delicious. The service just OK. The server spilled dressing all over the table and on my husband’s pants. Sad part she didn’t even notice. Excellent lace to have dinner with friends, relatives, or spouse. Had a great time, will be back on a regular basis!!! Service was excellent...our waitress was very accommodating as were a bit unsure if we were having 4 or 6 people...we sat at a window table so didn’t feel packed in. Unsure if that would be true if we were sitting more in the middle as there was significant traffic with carry out customers throughout the entire dinner. I would go back. Another great experience at Antonino's. Awesome pizza and paste and awesome service. Reserved the big table by the window to create even more ambiance. Love this neighborhood gem. We had a memorable dinner at Antonio's this past week. It was a comfortable evening, so we chose to eat on the patio, not expecting what was about to occur. We ordered a bottle of wine and an appetizer, the dinner can wait as we were enjoying the evening weather. After the appetizer we ordered our dinner which was delivered after a short wait. The service was great. Our waitress was very nice and competent. We had no sooner taken a bite of dinner and I noticed a flash over my shoulder. We assumed it was just someone taking a picture until we heard the rumble of thunder. As much as I hate to use my phone while eating, I had to check what was going on with the weather - OH-OH big storm. We were able to move our table to a more covered area, but then the wind started blowing and the rain started. Our cover was grossly inadequate for the torrential rainfall. Our waitress appeared and we grabbed our plates and followed her to an indoor table. The wind was really driving the rain right I into the patio and everyone had to reseat at indoor tables. Luckily there were enough to go around. So we went back to our dinner and enjoyed watching the downpour. We finished dinner with coffee and a shared desert. Oh, the food, it was great as it always is here. The staff did an excellent job of making sure everyone was well taken care of and it appears that everyone had a good time. Our favorite Friday night restaurant. The food is excellent and perfectly prepared. The staff is well trained and friendly. The new owners are doing an outstanding job. Went out for family dinner and had a terrible experience. Multiple tables that arrived after us received their food first. The staff were rude and acted like we were crazy when we asked where our pasta was 40 minutes later. The food was fine. We will never go back. It was a nice cozy place and the service was good. The wife had the egg plant Parmesan she didn’t really care for it I had a large pizza which was very good we would go there again. Great food, great prices. Outdoor seating...great service! It was my first time there and other people in our party had recommend it. The food was great and the staff were helpful and friendly picking out dishes to try. I would go back most definitely. Reliable, romantic and fun for any day, but was especially cozy and in our neighborhood for our wedding anniversary. Friendly, knowledgeable staff, delicious eggplant parmigiana, soup very hot and tasty. Great Italian style music. Light and airy. Do try! This restaurant is a hidden gem! The quality of the food was excellent and flavorful but very reasonably priced. Definitely returning to try the pizza soon! A very comfortable place with a good ambiance. Great Food & service! Good food, reasonably priced; great service; pleasant setting. Not too fancy. It was our first time there. We'll go back. Awesome neighborhood restaurant. Owners and staff make you feel as you’re having dinner in their kitchen. Pleasant neighborhood Italian restaurant with a welcoming atmosphere. Tight quarters make for a cozy evening of wonderful food. Cozy. Friendly staff. Yummy no frills pizza and pasta! 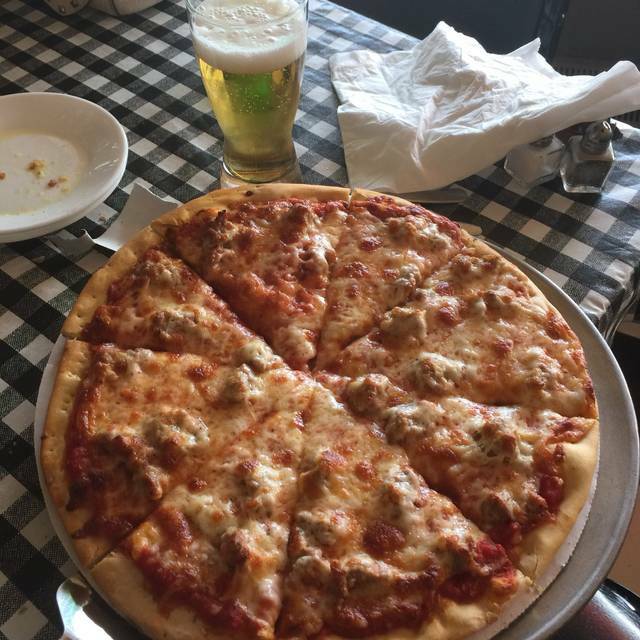 We always enjoy our dinners at Antonio’s! It reminds me of the Italian restaurants that used to be around when I was a kid, and they are hard to find in the suburbs these days ! Excellent service. Amazing food. Overall great experience. Looking forward to going back. It was my first time there and was fantastic. Would definitely go back again! It was our first time here and everything was wonderful. The service, ambiance and the food. Will be back for sure! Love this local gem...new owners but same great food, service ,and small place ambience. They play great Italian classics too. I'm Italian & the first thing I do is make sure a place has a good pasta sauce. Their sauce is excellent. Just like my mom used to make. The Spinach Lasagna & Tiramisu was the best I've ever had. Could have had a bigger wine selection- not a big deal though. It's a cute little place & I'll definitely be going back! This is a great place! It’s a quaint Italian restaurant in an awesome town...LaGrange. Pizza crust is perfect. Pasta con Matarocco is simple, yet amazing. Just go and enjoy! Great service and very good food! Nice, quaint, neighborhood place. First time trying this restaurant. We will be back!! Wonderful neighborhood quaint restaurant. Owners are very cordial and attentive. Best of all the food and the service was great. The ambience and decor reminded me of an inner city Italian restaurant with mama’s homemade recipes.